Hey these everyone! So today I have one more post for you! Crazy right! I don't typically have more than one blog post on any day other than Monday but guess there is a first for everything right! Last night after I was working on the Dupe Or Not post I was just very uninspired. I got a tripod and it just wasn't working for me and that kind of just set the mood for nail art. 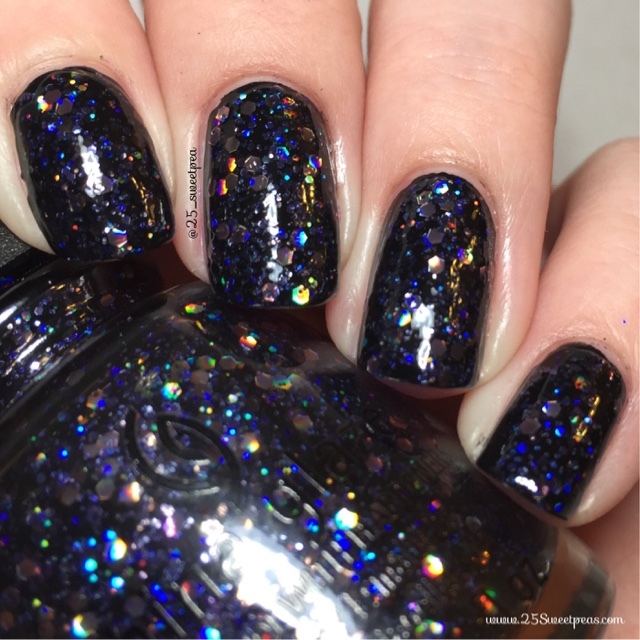 I could just tell it wasn't going to be good nail art night so I swatch a polish I hadn't used yet from the China Glaze holiday line! So let's take a look at it! 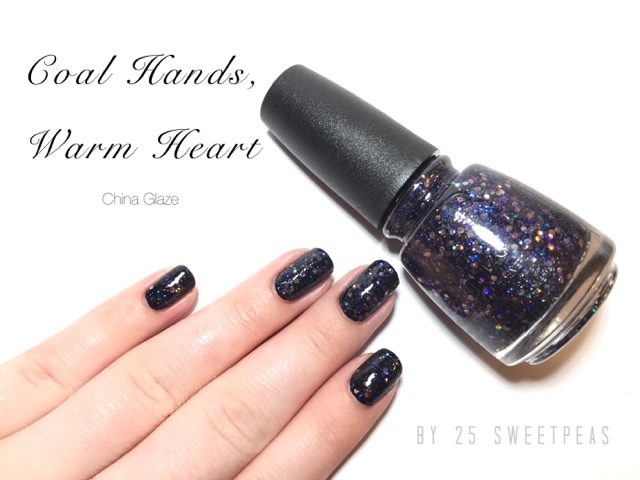 Here we have 2 thin coats of China Glazw Coal Hands, Warm Heart over one coat of Zoya Willa. It's a lovely mix of little purples and bigger silver hex shapes glitters! 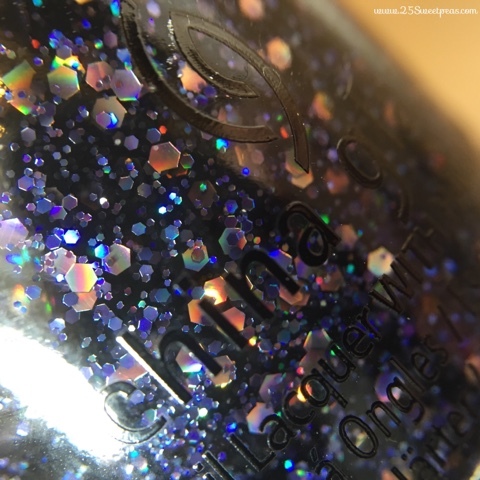 My macro lens finally arrived yesterday so I did have a lot of fun with it last night so how about an up close of the polish!! You can literally see every little piece better in this picture than you can in person! How fun is that!! I wil have to say I am pretty obsessed with my new macro lens. I may of taken a few more up close pics! 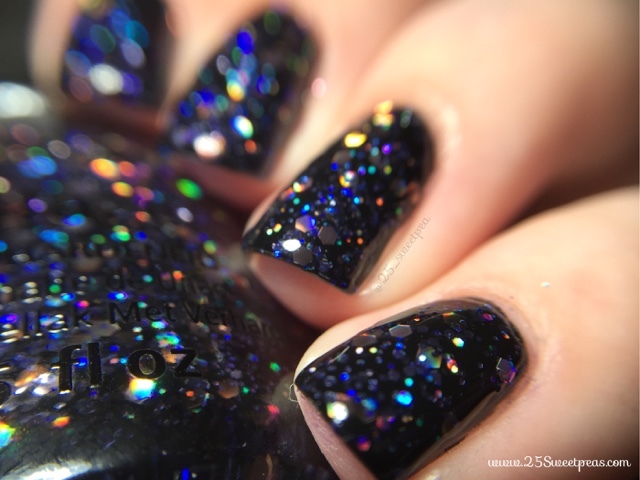 This angle makes up nail look funny put look at those glitters!! Ahhh, I am loving this so so much! 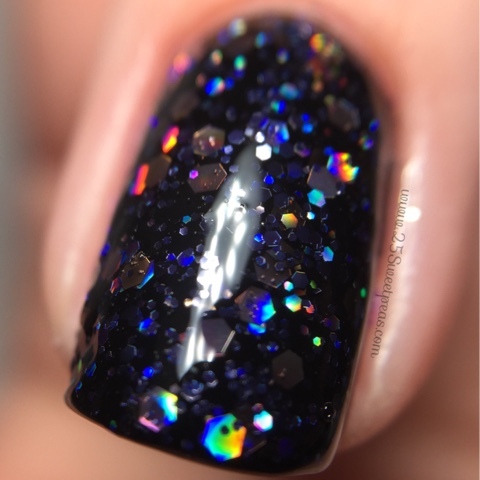 Blurred and unblurred this polish looks gorgeous! 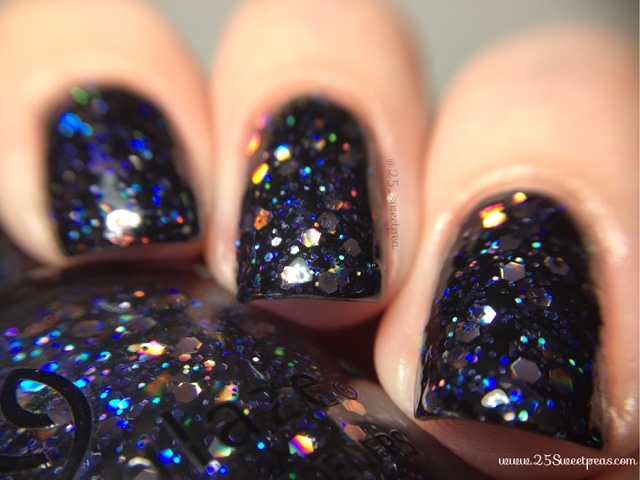 I actually really like to see glitters blurred because it gives a boheka effect which is fun. 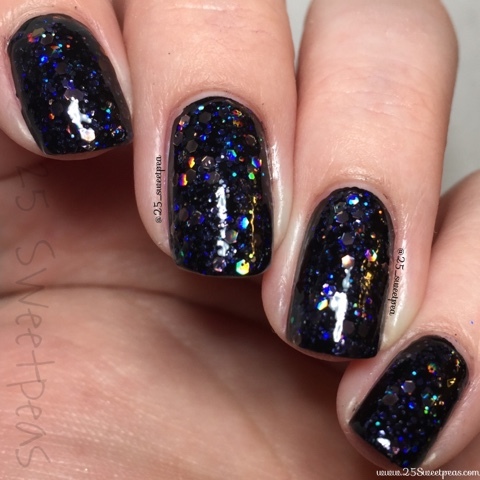 I am really liking this glitter! I think it will make for a great accent nail in the future. I honestly can't believe I've had it for a month and I am just now using it. Well that is all for this post. I know it wasn't a big post full of info or anything, but guess that's what happens from time to time. I did get to play with my macro lens so I am happy about that! :) Hope you all loved the pictures in this post as much as I do!